The information presented on this page was originally released on May 12, 2005. It may not be outdated, but please search our site for more current information. If you plan to quote or reference this information in a publication, please check with the Extension specialist or author before proceeding. The future looks bright for pentas, one of our best groups of annuals. I've just returned from the California Pack Trials, and almost every company is introducing new series. This should be a delight to butterflies, hummingbirds and gardeners alike. You'll be seeing pentas that are not only seed-produced, but vegetatively propagated as well. 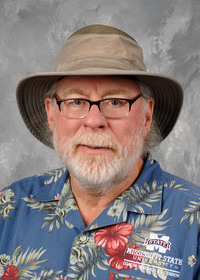 Lava, Bismarck and Bahama are some of the new varieties you can expect to see at garden centers probably next year, although a few may show up this year because our nurserymen are among the most progressive in the South. Even if you don't see these varieties, you can rely on the Mississippi Medallion Award-winning Butterfly pentas. If you remember reading about our trials, there were several series of pentas, including the old standards. Pentas have long been known as a great source of nectar for butterflies. As the butterfly season reached its peak and the pentas trial developed into a sea of color, it astounded everyone to see the butterflies skipping the old standards to feast almost exclusively on the clearly marked Butterfly series. Pentas are great bedding plants for the South and are considered a sub-shrub in Africa. 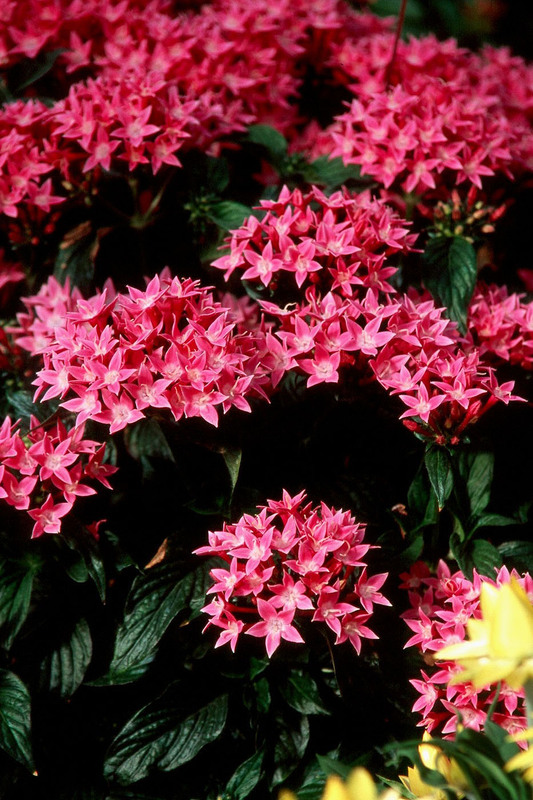 While we call them pentas, much of the world calls them Egyptian Star Clusters. In fact, the name pentas comes from the Latin word for five because of the five floral petals. The Butterfly series gives a lush, tropical look to the garden. They are available in more colors now, such as Butterfly Red, Blush, Light Lavender, Deep Pink, Cherry Red and White. Blooms will be produced in abundance all summer long if beds are prepared correctly. Place them in a bed in front of evergreen shrubs like hollies, ligustrums, wax myrtles or junipers. Choose a site in full sun for best flower production. Prepare the bed by incorporating 3 to 4 inches of organic matter, and till to a depth of 8 to 10 inches. While tilling, incorporate 2 pounds of a slow-release, 12-6-6 fertilizer. The next step may be the most crucial to happiness with your pentas. If your soil is acidic and you grow azaleas, camellias or blueberries with ease, you will need to add lime to your pentas' planting area. While preparing the soil, add 5 pounds of a pelletized lime per 100 square feet in sandy soil, or 10 pounds in a clay-based soil. This is recommended because pentas prefer a soil pH of 7. Many gardeners annually apply lime to grass or vegetable gardens, and in this case, a little will help the pentas keep their flowers all summer. By the way, they're great in the vase as cut flowers. While shopping for plants this spring, look for the Mississippi Medallion-winning Butterfly pentas, as well as the new varieties. Keep in mind that previous winners, such as Sonset lantana, New Wonder scaevola and Biloxi Blue verbena also are still winners and will serve your landscape well.